Our technologies are designed to fulfill the complex requirements of industrial robotics. How much of Saft’s business is currently focused on robotics applications? What is the projected impact of this new market channel in China for Saft? Saft’s batteries play a critical role in robotics applications, which can address varied industrial purposes. Just to mention a few examples, Saft’s technology can be found in robots for industrial automation, in unmanned vehicles used for defense applications, in complex underwater robotics equipments for deep offshore operations, in exoskeletons, or in robots used for space exploration. Rather than mass consumer markets, Saft focus on robotics applications where the exceptional performances and reliability of its batteries are instrumental, and where usually an interruption of service cannot be considered. Whereas robotics see growing adoption in homes, offices, hospitals, remote locations, their use for automation of manufacturing processes remains the main application. In this sector, China has emerged as the world’s largest producer of industrial robots to meet the demand of its domestic manufacturing base. Saft’s success in China demonstrates that its solutions can meet the needs of the Chinese market, and recognizes the high level of local support Saft can provide to local OEMs. With a dedicated site in Zhuhai, and with domestic human resources encompassing world-class experts, Saft delivers to Chinese OEMs the right combination of proximity and of best-in-class services. How does Saft evaluate the market size and potential growth in robotics-specific battery systems in China and other countries? The 2015 report by the National Robot Development Forum showed that in 2000 China had only 380 sets of robots – all imported. By 2013, China had 37,000 robots and had become the world’s fastest growing user of industrial robots. In 2014, this figure had risen to about 56,000 sets, of which more than 10,000 sets were made locally in China. 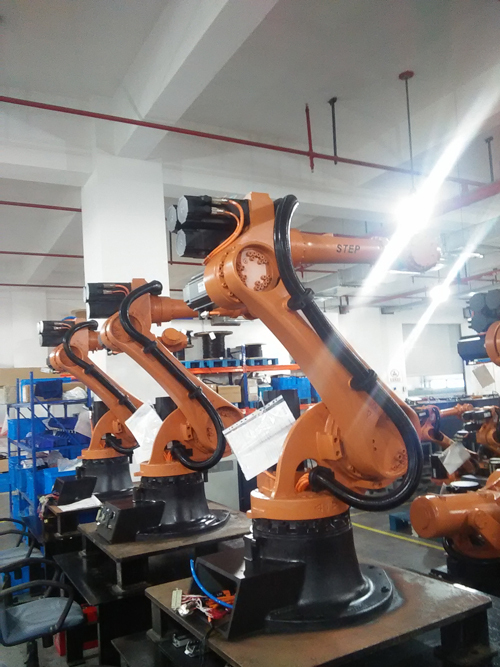 With more than 40 robot industrial parks across China and over 500 robot enterprises, the country is now the world's largest producer of industrial robots. More generally speaking, Saft see increased traction for battery-operated robotics applications in the global market. As previously indicated, the adoption of robotics is increasing in the various markets addressed by Saft such as healthcare, defense and security, or Oil & Gas, what fuels the growth of the robotics market. In addition, more and more robots are becoming battery operated. On one hand, industrial robots, which still dominate the robotics market and which are often power by the electricity grid, are more and more integrating batteries for their backup power. The STEP case is a good example of the benefits batteries can provide, mainly to resume faster operations after a main power cut. On the other hand, service robots are very often mobile, and thus rely on batteries during their use. Aside from this contract, how much activity does Saft have in China currently? Saft is already working with Chinese customers in the aerospace, rail, utility metering, electronic toll collection and back-up power markets, delivering high performance, reliable back-up power in demanding climatic and environment conditions throughout China. Saft has reached leading position in the supply of primary lithium batteries for smart metering projects in China for electricity, gas, water and heat local utilities. Saft rail batteries provide the essential back-up power necessary to brake high speed trains, open doors and keep communications working in case of power failure on metros, tramways and trains across the country, from Beijing to Tibet to Hong Kong, and is positioned on many of the planned future lines. In the aerospace sector, where Saft is also the world leader, its Li-ion batteries equip Chinese weather and telecommunication satellites for their 15+ year life to power the satellite when it is eclipsed from the sun. Saft batteries equip 100% of the Airbus and 80% of the Boeing fleets in the world, providing vital back-up power to the electrical and electronic equipment on board. Through its Chinese distribution network the company supplies all the major Chinese plane manufacturers, including Airbus and Tianjin and the regional jet market (ARJ21, Y12, and helicopters (EC17S/215). Many new aircraft projects are also under final discussion with COMAC, CALGA and Xian for example. As the worldwide leader in emergency back-up power batteries for industrial installations, particularly in the oil and gas and power generation and distribution sectors, Saft is naturally present throughout China with long-life, highly reliable nickel batteries for on-shore and off- shore sites (Sinopec, CNOOC, CNPC, LNG plant in Shenzhen, etc.). The contract with STEP Electric is for Saft’s LS14500 lithium batteries. Were these units modified are customized for their intended application? In this specific case, the batteries were not customized. However, when bespoke batteries are required to fulfill requirements from customers, Saft benefit from all the required resources to do so. Saft focuses on delivering not products but turnkey solutions to its customers. Battery customization can of course be part of the equation. However, Saft has much more to offer. Saft can provide an end-to-end support, from early design stages down to battery field operations and battery end of life. Our experts are available to support our customers in various areas such as design consultancy, on-time delivery and supply chain organization, installation, commissioning, maintenance or training. Is there any development underway for new battery systems designed specifically for robotics? As previously indicated, you will not find Saft’s advanced batteries in consumer robots for housekeeping. Our technologies are designed to fulfill the complex requirements of industrial robotics. Depending on end markets, Saft’s high quality batteries are designed to offer the highest reliability or longevity, to be as compact and light as possible, and to survive in harsh environments. Saft’s recent success in the Rosetta program is a good example. For this specific robotic application in space exploration, Saft had to design a battery able to survive a 10-year journey in the outer space, and still able after this deep space hibernation to provide reliable power to all the system and instruments used during the landing phase of the Philae robot on the nucleus of comet Churyumov-Gerasimenko. The battery delivered even more than the 60 hours of autonomous power and played a critical role in the success of this historical space mission. To maintain its leadership on advanced technologies, Saft continues to invest in innovation and knows that research and development are key to the future. In 2014, 9.5% of sales were re- injected into research and development designing new-generation batteries and technologies for new applications in multiple markets. Given the environmental issues China is facing, were there any environmental considerations regarding the deal with STEP Electric? Saft is committed to high standards of environmental stewardship and is fully aware of its responsibility to develop sustainably responsible products, even when not specifically asked by customers. Saft’s actions range from eco-design, life-cycle assessments, using recycled raw materials and reducing its own emissions, to ensuring that its customers have access to recycling solutions and facilitating end-of-life collection. As most of its factories, Saft’s site in Zhuhai is ISO14001 certified. China is both producing and utilizing industrial robots at an extraordinary rate. Beyond China, what markets globally represent similar opportunities in robotics for Saft? The markets Saft serves are global. So is Saft. Our international scope is built on a long-standing, state-of-the-art manufacturing base anchored in Europe, North America and Asia. Our high- technology battery solutions make an important contribution to major programs, be they in Europe, America, BRIC or elsewhere, supported by a wide network of sales offices guaranteeing responsiveness to local customer needs. Would Saft ever consider building a plant in China to service the industrial sector? Saft’s strategy in China – as in any other major area - has always been to support local industry with high quality, reliable battery solutions, wherever possible manufactured close to our customers. Saft’s advanced technology facility in Zhuhai was opened as early as 2006, and has passed an important milestone in December 2014 in its history, as it has just produced the 100 millionth battery for the highly demanding domestic markets. To continue to meet fast-growing demand in this market, Saft will transfer its production into a brand new, best in class factory. This production facility is planned to open during the first quarter of 2016, and will enable Saft to double its production capacity. 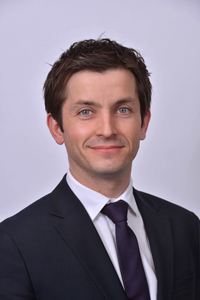 Nicolas Paquin holds an Engineering Degree from the Ecole des Mines in France, and a MBA from Paris La Sorbonne University. He joined Saft in 2004, first to manage and to promote complex batteries for space applications. Since 2009, he has the worldwide responsibility for Saft’s primary lithium solutions.